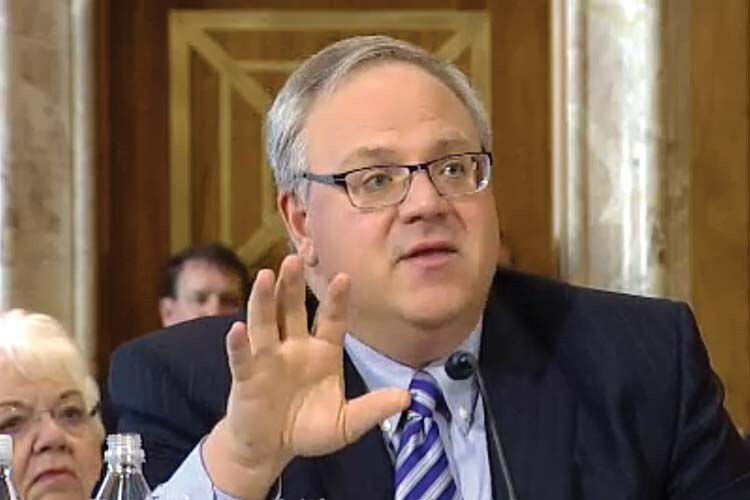 Editor's note: On Feb. 4, 2019, President Trump nominated David Bernhardt for Secretary of Interior. Bernhardt became interim secretary following Ryan Zinke's resignation in early January; prior to that, Bernhardt served as the Deputy Interior Secretary. 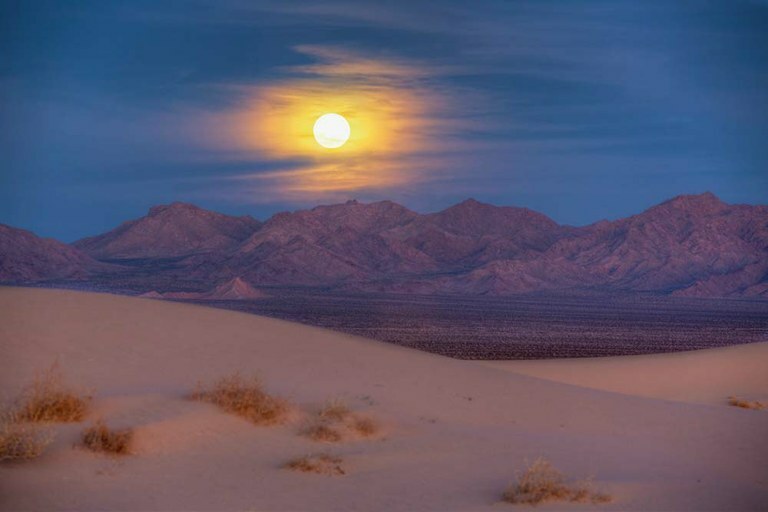 The Mojave Trails National Monument in Southern California — which is one of the recently established monuments now under scrutiny by the Trump administration — surrounds a swath of land owned by Cadiz Inc. For nearly two decades, the Los Angeles-based company has been trying to build a colossal project, seeking to pump enough groundwater from a Mojave Desert aquifer to supply hundreds of thousands of customers. President Donald Trump improved its prospects by reversing Obama administration policies soon after taking office. Now, he has nominated a deputy Interior secretary, David Bernhardt, who lists Cadiz as a personal client. His law firm has long represented the company and stands to benefit from its success. 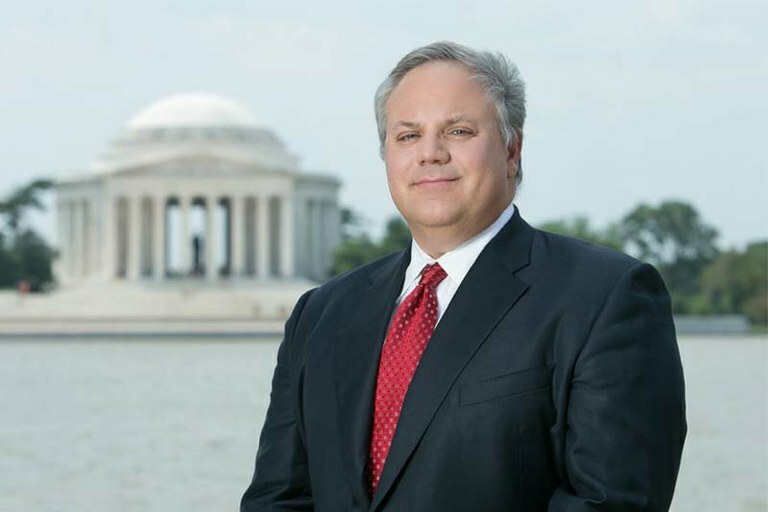 David Bernhardt could be the next deputy Interior secretary. Will his conflicts of interest get in the way of his work? Bernhardt’s link to Cadiz is just one example of the connections between many Trump appointees and the industries that could profit from their decisions. Bernhardt’s confirmation hearing is today before the Senate Committee on Energy and Natural Resources. As deputy secretary, Bernhardt would take over if Interior Secretary Ryan Zinke resigned. He would also handle conflicts between agencies: If the Bureau of Land Management sought to allow drilling or construction on land that the Park Service or Fish and Wildlife wanted to preserve, for example, Bernhardt would likely step in. As a lawyer, however, Bernhardt lobbied for agricultural and oil and gas companies and represented them in court, where he fought to weaken environmental protections and expand access to resources. Some Democratic senators and environmentalists see this as an unacceptable conflict of interest. “I am gravely concerned about Mr. Bernhardt’s record of working on behalf of corporations at the expense of the environment,” Washington Sen. Maria Cantwell, the ranking Democrat of the Senate Energy and Natural Resources Committee, said in early May. And on May 17, 150 conservation groups sent a letter to senators to oppose his nomination, citing Bernhardt’s efforts to enrich corporations at the expense of the environment. Republicans praise Bernhardt’s qualifications, noting that he served Interior during both Bush administrations and rose to be solicitor, the department’s top lawyer. “I think you have an extremely balanced, thoughtful individual who realizes Mother Earth is our life-support system,” former Interior Secretary Dirk Kempthorne said. “(Bernhardt)’s going to look out for the life-support system for his kids.” Under Kempthorne, the polar bear was listed as threatened in 2008, marking the first time a species was protected due to climate change. The decision, which survived court challenges, is regarded as a conservation success. On the other hand, Kempthorne was following Bernhardt’s legal advice when he exempted greenhouse gas emissions from regulation under the Endangered Species Act. And Bernhardt — who likely would be tasked with sorting out department scandals as deputy Interior secretary — has been questioned about scandals at Interior under President George W. Bush. In 2007, Deputy Assistant Interior Secretary Julie MacDonald resigned after an investigation revealed that she had repeatedly altered scientists’ work to reduce protections for rare species like the greater sage grouse and the Delta smelt. Bernhardt advised MacDonald and resolved disputes she had with others at Interior, according to a report by Interior’s inspector general. Mojave Trails National Monument surrounds the Cadiz Water Project site, which would pump water from an aquifer that also feeds desert wildlife. The Trump administration recently relieved the project of a federal environmental review requirement. In the Cadiz water project, the company had planned to use a railroad’s existing rights-of-way to avoid federal permitting and build a 43-mile pipeline, partly through BLM lands. Environmental groups filed a series of lawsuits, citing concerns that pumping water from Cadiz’s private property could deplete groundwater under public land that is essential for desert wildlife. Note: This story has been updated to include the most recent news from a May 18 hearing regarding David Bernhardt’s nomination.